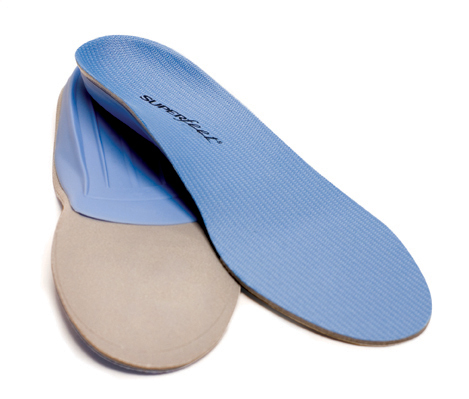 The Superfeet Blue Premium Insole helps support the rearfoot and reduce pronation. Versatile shape and design add stability and support to tighter-fitting athletic or casual footwear. Superfeet Blue has a moderately deep heel cup to naturally reduce shock and add comfort and stability to almost any foot type or shoe. 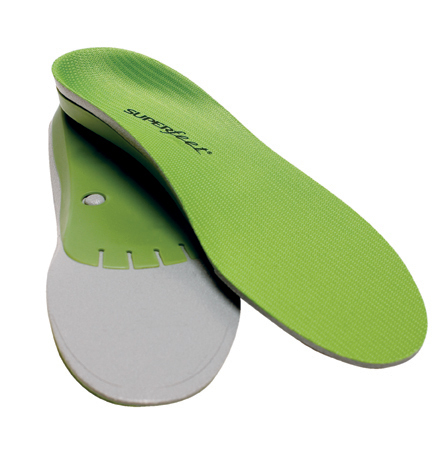 The biomechanically-correct arch shape supports and aligns the foot, helping to prevent heel pain, plantar fasciitis and other common foot problems. 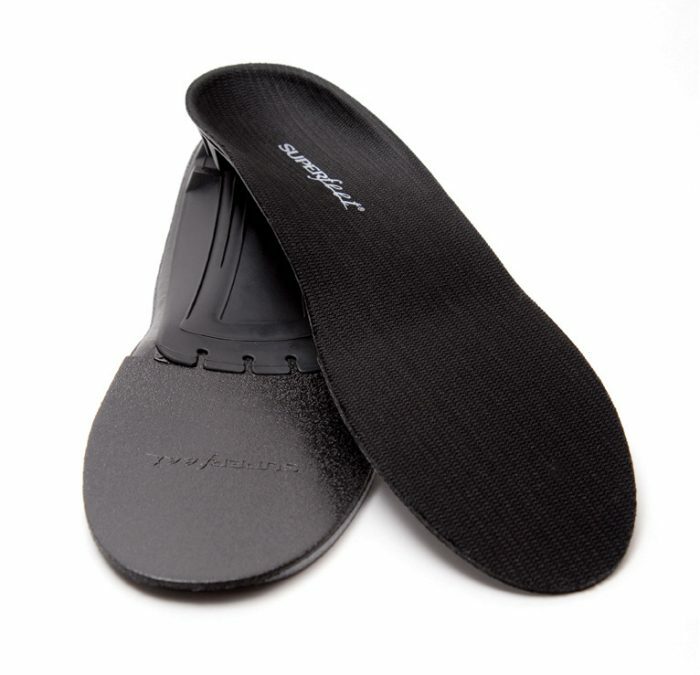 The durable stabilizer cap provides optimum rearfoot control and flexibility while our ultra-light Foundation foam resists moisture and offers advanced comfort. 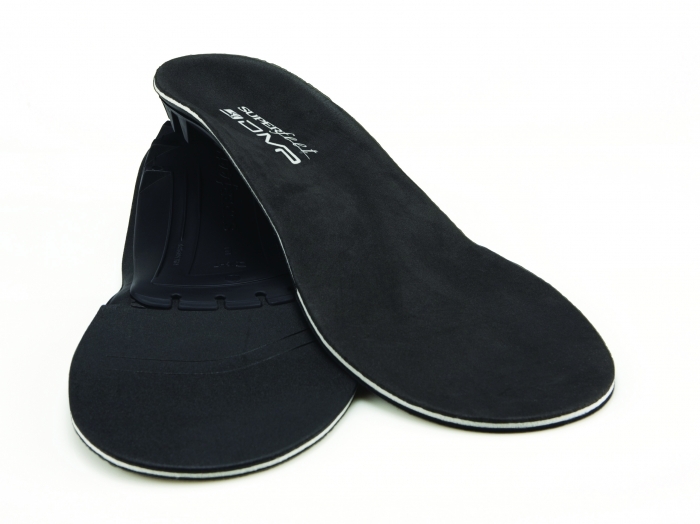 Medium volume heel cup cradles the heel’s fat pad for natural shock absorption, stability and support. 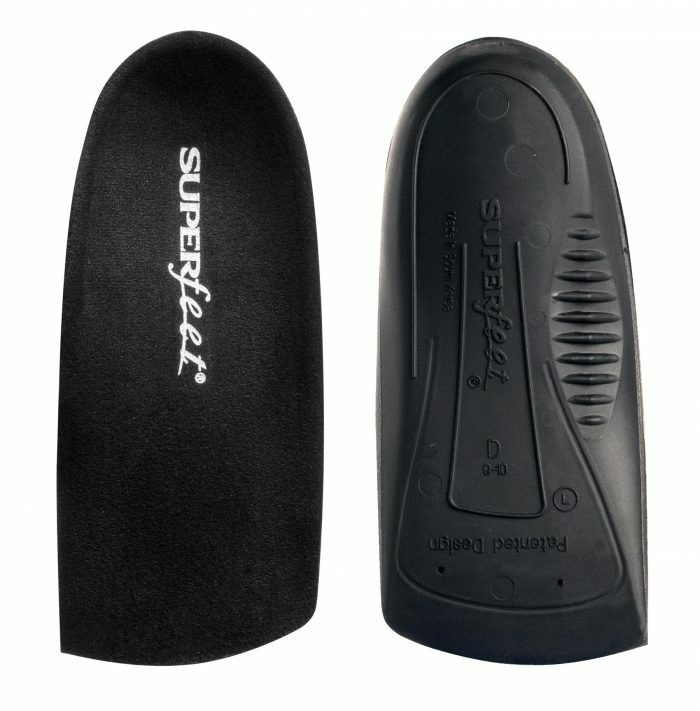 Foundation�High Density Foam resists moisture and helps reduce shock while offering advanced comfort to the entire foot. Agion antimicrobial treatment helps inhibit odor-causing bacteria, and the friction control top cover helps reduce blistering. Ideal for cleated athletic footwear and all types of casual and dress shoes.